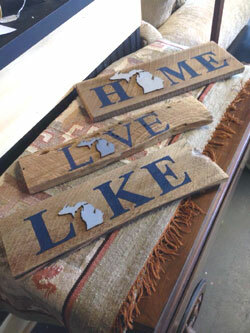 Mi Old Barn is taking the Michigan Thumb by storm and reclaiming 100 year old barnwood! 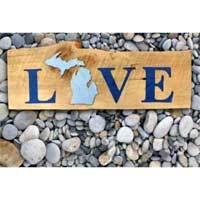 The barnwood used in the Michigan signs is over 100 years old. 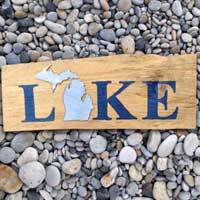 Mi Old Barn’s signature HOME/LAKE/LOVE barnwood signs are unique in their own way and no two signs are identical! The barnwood is cut, washed, sanded, traced and painted. 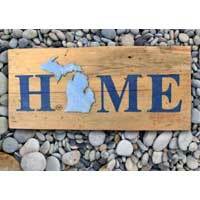 The “O” or “A” in HOME, LAKE, LOVE is replaced with laser cut wood in the shape of the state of Michigan.